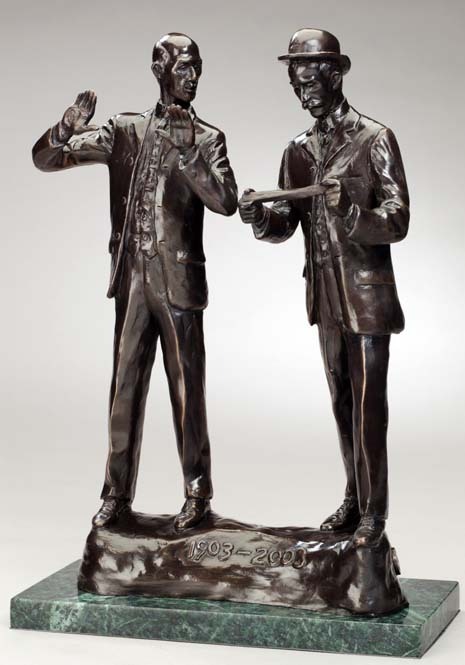 At the end of 2001, Mark received a commission from the Inventing Flight Committee to create a sculpture of Wilbur and Orville Wright. The monument is located at “Legacy Plaza” located on Deeds Point at the convergence of the Mad and Miami Rivers near downtown Dayton. 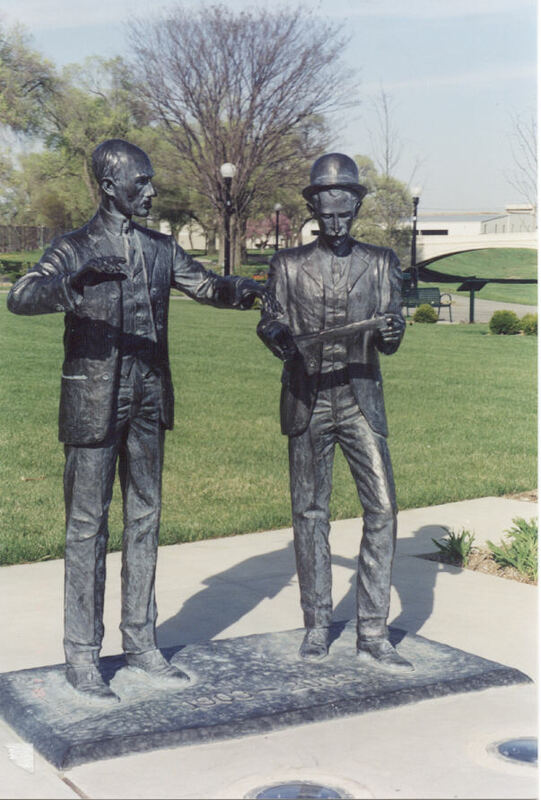 This site served as the hub for Dayton’s Inventing Flight celebration in summer 2003, commemorating the Wright Brothers 100th anniversary of powered flight. In April of 2002 the clay sculpture was completed and ready to send off to the foundry for casting. Sun Foundry of Burbank, CA cast the monument in bronze. 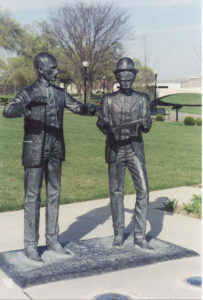 The life size bronze, which shows Wilbur explaining his thoughts about their theory of “wing warping” using a bicycle inner tube box, weighed in at just under 1000 lbs. Shipped back to Dayton, the “boys” as Mark fondly calls them, were unveiled in November, 2002, at Inventing Flight’s annual meeting. In the spring of 2003, the “boys” were moved to their permanent home at Deed’s Point. Mark was honored to have the Wright family on hand at the unveiling in November. The greatest thrill was seeing their faces light up as the “boys” were unveiled to the public.